An investor firm has filed a proposal seeking the ouster of Facebook CEO Mark Zuckerberg as company’s chairman. Facebook CEO Mark Zuckerberg’s net worth fell by nearly $15 billion after the social media giant posted weak second quarter results, even as, one activist investor reiterated his stand on ousting the company’s top executive from the chairman’s spot. According to Reuters, the company’s shares closed at a low wiping more than $120 billion off the company’s value in a single day. 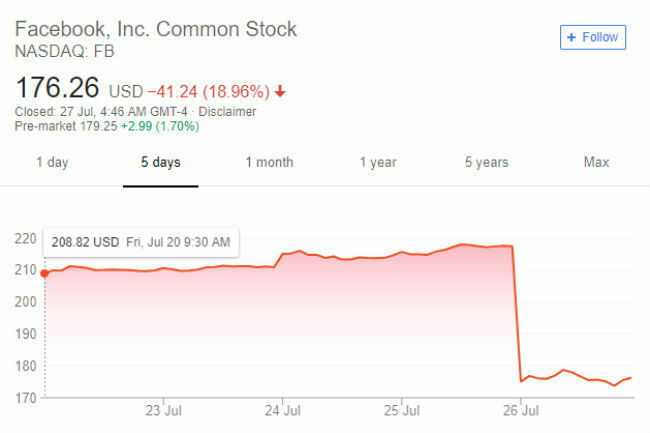 This is reportedly nearly four times the entire market capitalization of Twitter Inc.
Facebook’s share took a nosedive and closed down at $174.97 on Thursday from $217.50 on Wednesday, registering a 19 percent (approx) decline. During the earnings call, CFO David Wehner said that the sales growth is likely to decline in the next two quarters as the company prioritises new formats such as Stories (a popular feature on Instagram) and continues to invest in privacy. "We plan to grow and promote certain engaging experiences like Stories that currently have lower levels of monetization, and we are also giving people who use our services more choices around data privacy, which may have an impact on our revenue growth," Wehner said on the conference call. Facebook earned $13.23 billion in revenue, missing Thomson Reuters consensus estimates of $13.36 billion. The Daily active users hit 1.47 billion, up only 1.44 percent as compared to Q1’s 3.42 percent. “We had another solid quarter. Revenue grew 42 percent year-over-year to $13.2 billion. 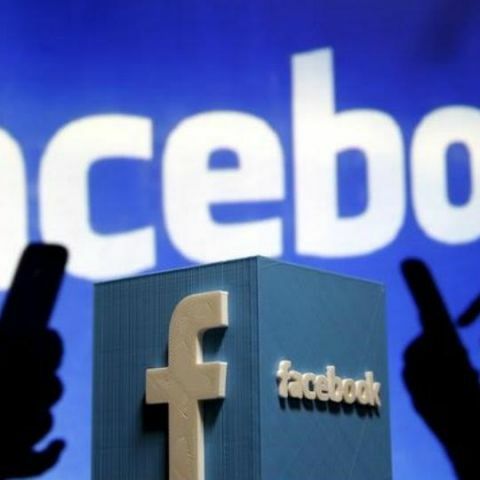 And Facebook now has more than 2.2 billion monthly actives, with almost 1.5 billion using it every day,” Zuckerberg said. He mentioned all the investments the company has made over the last six months to improve safety, security and privacy across its services. Facebook now has 2.23 billion monthly users on the platform, 1 billion users on Instagram, 1.5 billion users on WhatsApp and 1.3 billion users on Messenger. Meanwhile, Trillium Asset Management, an activist investor filed a proposal to oust Zuckerberg as the chairman of the company. “Having an independent chair helps the board carry out its primary duty – to monitor the management of the company on behalf of its shareowners. A CEO who also serves as chair can exert excessive influence on the board and its agenda, weakening the board’s oversight of management. … We believe this lack of independent board Chair and oversight has contributed to Facebook missing, or mishandling, a number of severe controversies, increasing risk exposure and costs to shareholders,” the proposal said. The firm cited the company’s “mishandling” of several issues, including Cambridge Analytica, Fake News and Russian interference in the 2016 election. Trillium holds $11 million stake in Facebook. Last year, 51 percent of independent investors voted to oust the CEO as chairman but it fell flat because Zuckerberg has the majority of the voting power (He owns Class B shares).